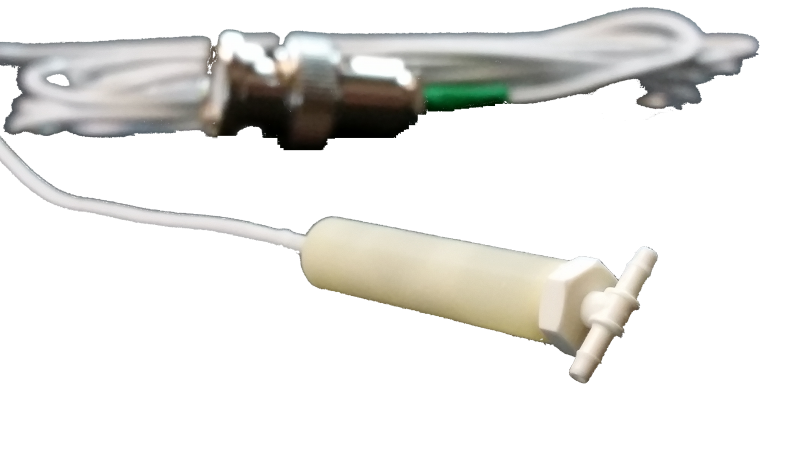 A flow through pH electrode, for use with the pH/ISE isoPod with USB, pH & ISE isoPod, Quad Multi Function isoPod or Quad pH Amp. It has an internal volume of 0.8 µL and connects to 3.2 mm ID tubing. Range of measurement is pH 0 - 14 with proper calibration and flow control.